Semantic theory makes a big contribution to understanding how languages work and also feeds into other disciplines, like computer science for example. In spite of big limitations, the study of semantics has made an important contribution to our understanding of how languages work. Originally, the word “semantics” was used to refer to what we call “historical semantics” today. It was about how words changed their meaning over time. Originally, the term semantics did not refer to the study of meaning in language; it referred to how the meanings of words can change over time; it was about meaning development rather than simply meaning. Today, we call this historical semantics. There are lots of examples of this kind of change, of course. Think about how words like “wicked” are used by young people today. People started to take semantics seriously after the publication of this book in the 1920s. 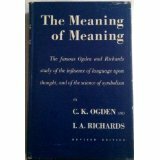 The word semantics did not really catch on until the 1920s when Richards and Ogden published their famous book, The Meaning of Meaning. Today, Semantics is one of the central areas of study in Linguistics. After all, the whole purpose of language is to communicate meaning. 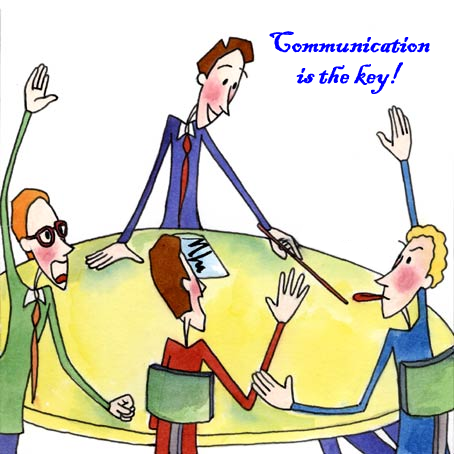 Today, we assume that communication is the key to language learning. Do you agree with that? Meaning is of central importance to language learners and teachers because it is assumed that languages are learned in the process of communication. Semantics plays an important part in most branches of Linguistics. 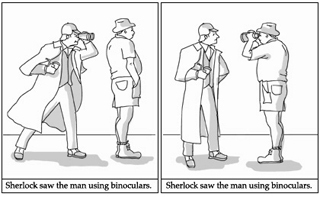 These pictures show how meaning can be influenced by grammatical (syntactic) structure. Meaning is bound up with just about everything connected with language. Meaning is deeply influenced by the sound system of a language, its grammatical structure, and the way we use language in actual conversations. Just about everything connected with language is related to meaning in some way or other. Stress can change the meaning of words and the kind of sentence. Also, stress can change the meaning of words and sentences in big ways: the word “contrast” has a different meaning depending on whether you stress the first of the second syllable and a simple sentence like “I didn’t eat the apple” has a different interpretation if certain words are strongly stressed. Furthermore, tone can indicate a question sentence rather than a declarative sentence. Morphology, or the internal structure of words, influences meaning in big ways. Here, the suffixes “-ate” and “-tion” transform the base noun “motive” from a noun to a verb and then back into a different kind of noun. It’s magic! Syntax (grammar) investigates how words combine to form larger structures. See how the four words here combine to form noun phrases, a verb phrase, and a sentence. 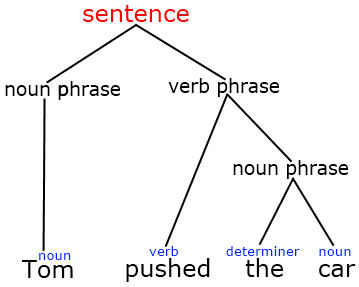 Syntax deals with the way words combine to form larger phrases and sentences. Semantics is concerned with how those phrases and sentences are interpreted — their meaning. For a very simple example, take a sentence like “The rat ate the cockroach.” Then swap around the words so you get “The cockroach ate the rat.” Clearly the meaning (interpretation) is different depending on the word order. 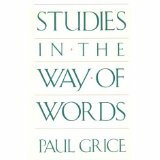 The Philosopher Paul Grice made the most important contribution to the study of Pragmatics. 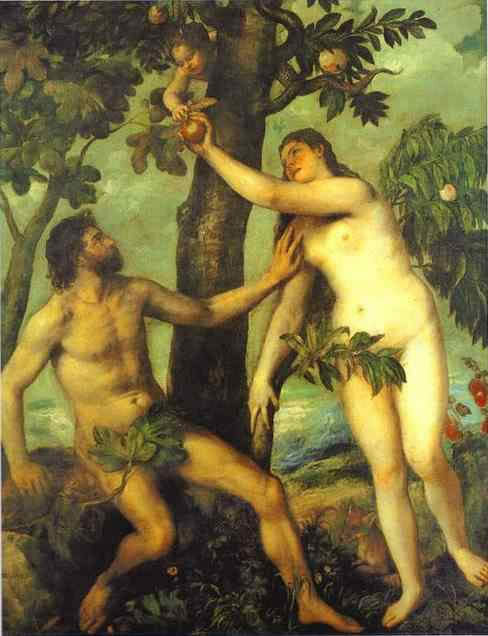 His idea was that we take meanings and then combine these meanings with other things we know about the world to create different meanings. Pragmatics, like Semantics, is also concerned with the transmission of meaning through language. However, Pragmatics investigates the meanings that expressions have in particular situations (contexts). For example, a sentence like “It’s hot in here” carries the meaning that the temperature is high. However, in context, it could easily be taken as a request to open the window or turn the heater off. In other words, “It’s hot in here” implies something else, not just that the temperature is high. 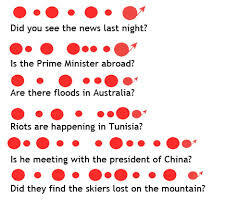 Stressing different words in a sentence can also make a difference to how we interpret things in context. Obviously, the way we stress words is an important factor in different contexts. Go back to the sentence “I didn’t eat the apple” and stress different words again. Then think how the context might change your interpretation of the sentence depending on which words you stress. Also, think about a sentence like “The cockroach ate the rat.” How might you interpret that in a particular situation that you can imagine?